Visiting Corazón de Niña is a real treat. Throughout the high season in PV (December 1 to April 1) they offer Humanitarian Tours every Tuesday morning from 10:00 to 12:00. Visitors enjoy a guided tour of the Corazón facility, hear the story of Corazón, and engage in discussions with the other visitors and staff. A delicious brunch is offered as part of every tour. 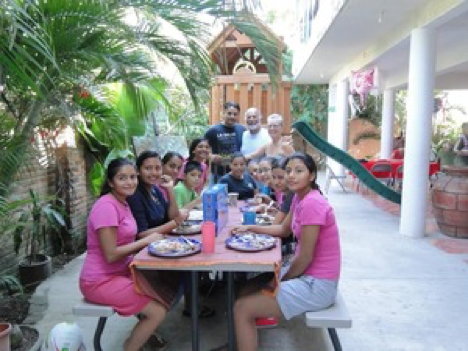 The brunch is prepared by the Corazón youth under the guidance of local chefs. They value these opportunities to empower their youth through life skills training. 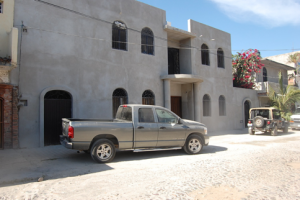 Tour and brunch are offered for $200 MXN per person (minimum donation). To reserve your tour, please email admin@corazondenina.mx. In order to ensure a stable home environment for the children, they only accept applications for long term volunteer positions. All of the day-to-day chores at Corazón are carried out by the children- cooking, cleaning, laundry, grounds-keeping, animal care and looking after the little ones. Volunteers tend to do skilled work such as teaching English, homework assistance, leading field trips, administrative duties, and facility maintenance or construction work. If you have extended time available and perhaps a talent to share please consider applying for a long term volunteer position by emailing a letter of intent and resume to: admin@corazondenina.mx.